Khenpo Pema Damchö (Tib. མཁན་པོ་པདམ་དམ་ཆོས་, Wyl. 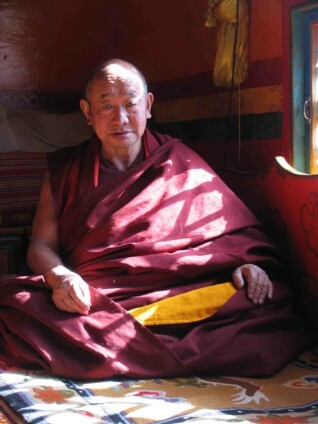 mkhan po padma dam chos, 1933–2016) was a senior khenpo at Dzongsar Monastery in Tibet. He was a student of Drayab Lodrö and Dragyab Khyenrab Senge. In 1986 he became the tenth khenpo of Dzongsar shedra, a position he held for five years. According to reports, he passed away on March 3rd, 2016. This page was last edited on 3 April 2018, at 21:48.